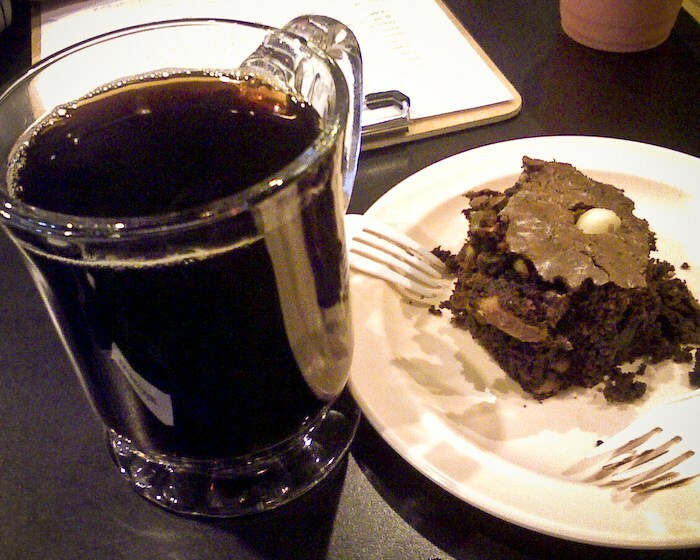 100% Ka’u Coffee and a warm gooey mac-nut brownie. Doesn’t get any better than this, seriously. 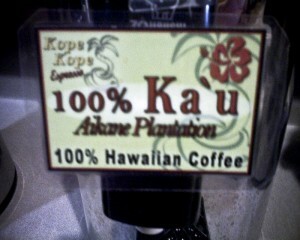 They don’t serve Ka’u coffee here everyday (they rotate their special coffees), but when they do it sure is worth a try. It’s one of my favorites… dare I say I favor it over Kona? Posted on location. Free internet with $5 purchase. This entry was posted by James on Tuesday, November 4th, 2008 at 1:23 pm	and is filed under Coffee, Hilo. You can follow any responses to this entry through the RSS 2.0 feed. You can leave a response, or trackback from your own site. Nice, fresh roasted coffee! Ahhhh! Where’s 1261 Kilauea? The old Shopping Center? Howzit! Yeah, Ka’u coffee is fantastic, they serve the Aikane and Moa’ula Ka’u coffee at Pahala Town Cafe every day, along with fresh malasadas around the weekends. Also get Aikane at Hana Hou in Na’alehu. Closed down unfortunately. It’s now a spa . . .